Over the last two decades the small hill state of Himachal Pradesh has been scripting a success story. The heroes of this story are the farmers who have used the government incentive and their own will to make the best use of controlled-atmosphere farming, flooding markets across the country with heaps of off-season vegetables and flowers. They have proved that at a time when farm distress is assuming massive importance in the socio-political and socio-economic narrative of the country, farming can still be a lucrative vocation. But the question that has started raising its head is whether this story will have a happy ending. Having done their part by taking up the much suggested diversification path and putting in labour to achieve the high production, the farmers now sit at a point where economic and scientific interventions have become the need of the hour. At this precarious position, the farmer is once again looking at the government to take his journey to a happy conclusion. Vikas Thakur is a young farmer from Shimrod village, located at the tip of Solan district where it neighbours Sirmaur. Till 10 years ago he was working for an agency that marketed multinational confectionery products. It was in 2009 that he decided to optimally utilise the land that he owned, and took the plunge to get two polyhouses, of 250 square metres each, erected. “I decided to produce vegetables, including both the routine produce as well as the exotic ones that land up on the dining tables in five-star hotels. Today I produce capsicum of the green, yellow and red varieties apart from cumin, broccoli and cucumber. I am highly satisfied with my decision as I earn a decent amount,” says Vikas. A little ahead in Kothi Bhadlech village, Ritin Thakur can be seen tending to his roses in the two polyhouses of 800 square metres each. Having completed his formal education, Ritin was employed as a judo coach at a local college on contractual basis that paid him a paltry Rs 8,000 per month. Alongside, he was involved in the transport business and was also selling policies for a private insurance company. “Three years ago I decided to take up controlled-atmosphere cultivation. I began by cultivating vegetables but soon shifted to floriculture. Now, I have 22,000 rose plants and earn a decent amount. I am also into the business of supplying construction material for building roads, but I intend to spend more time on floriculture,” he says. Their journeys have not been easy and still continue to be rollercoaster rides. Both the agriculture and horticulture departments provide 85 per cent subsidy for installation of polyhouses through the companies that they have empanelled. “We install polyhouses ranging from 250 square metres to 1,000 square metres. The structure comprises galvanised iron pipes and ultraviolet stabilising sheets along with drip irrigation mechanism, foggers, safety nets etc. The cost begins from around Rs 3 lakh. Polyhouses are being set up in all the districts of the state,” says Ashwani Verma who is in the business of erecting polyhouses. But hereon, the struggle begins as vegetable growers complain of not getting good quality seeds easily. They claim that they are largely dependent on private seed companies. “We have a lot of cases going on in the consumer courts regarding substandard and spurious seeds. The companies always try to hold the farmers responsible saying that he didn’t care well for the crop. Another lacuna in the system is that the farmer largely remains in the dark and the research is not reaching his field,” Manoj Verma, who is a lawyer and a farmer. He further says that farmers are able to generate an average of Rs 25,000 to Rs 30,000 easily but the labour cost put in by every family member is never counted per head. Similarly, Ritin says that his bunch of roses having 20 sticks is getting between Rs 20 to Rs 200. But even for the routine vegetables, for which there are mandis in place, the problem persists. “There are no storage facilities for the farmers to hold back the produce for a day or two if it’s not getting a good price on a given day. Then there are no processing units where a farmer can sell his produce that is not lifted in the mandi. These two factors lead to something called ‘no rate’ situation for the farmer where he is unable to meet even his production cost. To cap this is the major issue of there being no mechanism of minimum support price for the vegetables,” Tanwar points out. However, the vegetable farmers have been growing restive of late. Over the next two months, they plan to approach the government with their demands and also launch an agitation if their concerns are not addressed. He says that a Rs 300 crore project, in co-ordination with Japan International Co-opertive Agency (JICA), is being executed in Kangra, Hamirpur, Bilaspur, Mandi and Una. It's all set to be extended to all the districts, while the outlay is being increased to Rs 1,100 crore, Sharma adds. “The farmers have been selling their produce in the 59 mandis, out of which 19 also facilitate e-marketing. We are extending the facilities. In regard to the food processing units, thing are in the pipeline and fruitful outcome is being expected from some companies that will be participating in the forthcoming industrial summit, which will be held in Dharamshala soon,” he says. The farmers are looking towards a model of big food processing chains setting up units like some of them have done in states like Maharashtra. They want the government to be more responsive to the idea. “We had taken up the issue with one of the ministers in the previous regime, and he had the audacity to suggest if a unit equivalent to the size of his chamber would be enough. We immediately walked out,” disclosed a group of farmers. “We need small interventions by the government. We would like to manufacture our own gulabjal and gulukand if we are sure of its marketing,” says Devinder Thakur, a floriculturist who also runs a small shop at Dharja village in Solan. 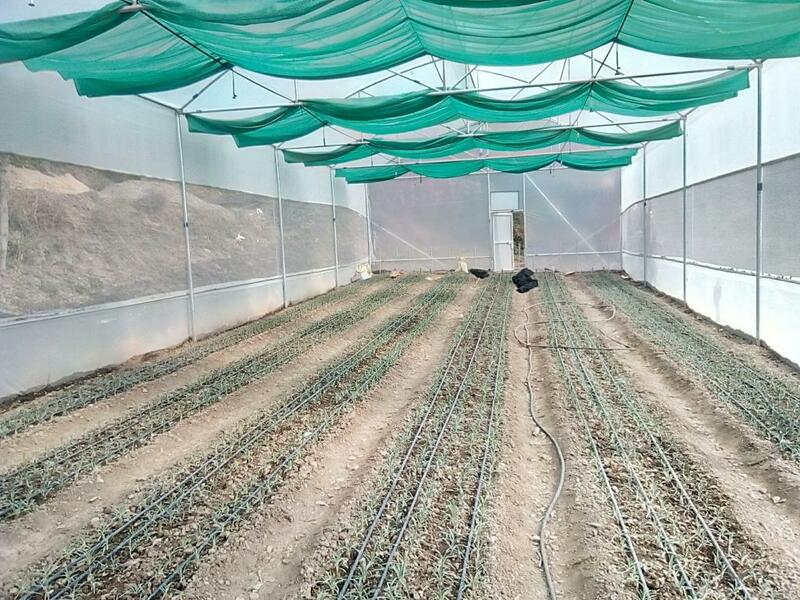 Sources say that the controlled atmosphere cultivation did not yield desired results in some places like Bilaspur because the temperatures there are already pretty high, and lack of proper knowhow proved to be a dampener. In addition to this, monkeys often tear apart the ultraviolet stabilising sheets of the polyhouses and destroy the crops. But these have not yet been able to dampen the spirits of the farmers. The number of applicants looking to set up polyhouses for cultivation for both the off-season vegetables and flowers continues to grow as farmers are often complaining of long waiting periods and delays. This success story today stands at a point from where it can go awry. It’s time that the government steps in to introduce required interventions so that it stands out as a model for others.